Greetings fellow Dota 2 fans! The competitive season 2018 for our favorite MOBA is already back in full force after a few weeks of holiday recess (after all, the players also need a break from the constant training and traveling around the world!). And to help you get back from the track, this article is about the biggest and most anticipated events that are going to be held in the year 2018. Of course, we will only be able to list those that are already confirmed, so keep in mind that on top of our little schedule, there will be plenty more tournaments for us to watch and cheer for our favorite team throughout the year. We’ll try and give a little bit more focus to the events in the upcoming months since a lot of 3rd and 4th quarter tournies haven’t put out much information regarding dates, qualifiers, prize pools and everything else. Let’s get started then! The second edition of the Galaxy Battles series will be organized by Fallout Gaming and Purpose Win, with a $500.000 prize pool spread between the 8 attending teams. It is sponsored by big companies such as Twitch, iflix, GosuGamers, eGG Network, PT&T and many more, and will take place between January 19th and January 21st, in Ciudad de Victoria in the Philippines. This tournament has a lot of hype surrounding it because of its location. The Philippines is one of the countries with the biggest Dota 2 playerbase, and the number of fans in the region is extremely high. With Galaxy Battles II, they’ll get to watch the best players in the world compete on their turf for a pretty impressive prize pool. If you’re an electronic sports fan then you undoubtedly have heard (and even watched) about the ESL One series. The LANs organized by the German organization have been highlights of the season for many years already, and they’re working hard on keeping the trend going for 2018. 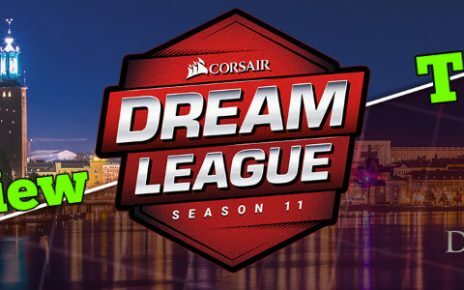 ESL One Genting is going to be the most prestigious Minor of the current season, with $400.000 up for grabs for the 16 attending squads. It will be hosted in Malaysia (the crowd there is completely insane, you can expect the audience’s hype to be huge) from Jan 23rd to Jan 28th. As a part of Dota’s pro circuit, the teams will also battle between themselves for 400 pro circuit points, which could be the tipping point as to whether they’ll be able to attend The International 8 or not. Many powerhouse organizations will attend this tournament, such as Virtus Pro, Team Liquid, Team Secret, Evil Geniuses, Natus Vincere, Vici Gaming, Newbee, LGD Forever Young – only to name a few! This event will be very stacked and as a Dota fan, you can’t miss this action. From one ESL event to another, the Katowice tournament is going to be the first Major of 2018. 15 of the 16 attending squads are already settled – 7 through open qualifiers and 9 directly invited (there is still one invite to be given out). It’s going to take place in the Spoked Arena, a great venue (the one usually used by ESL for big events) in Katowice, Poland. The prize pool is 1 million USD and 1.500 Dota Pro Circuit Points – these great figures are backed by sponsors such as Intel, Mercedes Benz, Logitech G and Need for Seat. Team Kinguin, an all polish squad managed to qualify for the event in their home turf. You can expect the polish crowd to back them immensely – and we all know how loud and crazy (the good kind of crazy) polish crowds can get. This Major is a must watch for anyone interested in esports, (even if you’re that into Dota specifically) and will surely be in the recap for biggest events of 2018 at the end of the year. 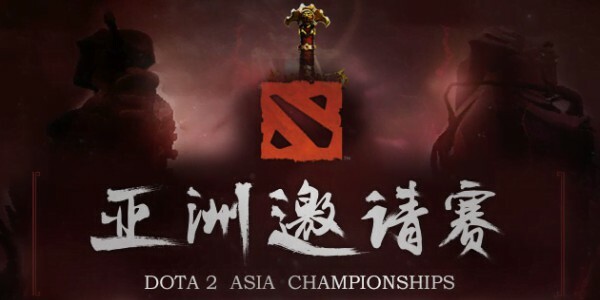 We finally get to an Asian event in our list – DAC is also a Valve Major, therefore has a $1 million USD prize pool and 1.500 Dota Pro Circuit points up for grabs. It will be held in Shanghai, starting on March 30th and ending on April 7th. DAC is a very prestigious LAN because the Chinese people are usually very proud and confident in the skill of their country’s professional athletes – and the storyline is always China vs The World when we have the best Western squads facing off against China’s best. For this reason alone, the hype will surely blow through the roof in the Shanghai Oriental Sports Center venue at the end of March. Since DAC is still a good couple months away, there are plenty of attendee spots to be filled – so far, 5 teams have been invited: Invictus Gaming, Newbee, Team Liquid, Vici Gaming and Virtus Pro. One more team will get a direct invite, and other 10 squads will have to earn their spot through domestic qualifiers. This tournament is yet another Valve Major – we have so many great Dota 2 LANs in the schedule already confirmed for the year 2018 that our list is basically filled only with premier events! As usual, the prize pool is 1 million dollars and 1.500 points are up for grabs. The organizers are PGL and ImbaTV, with Hyperx and Deutsche Telekom as main sponsors. The action will start on March 4th and end on March 11th. 14 of the 16 participating rosters are already settled. Optic gaming and pain gaming are the two big surprises that managed to qualify, and we are waiting on the CIS and SEA regional qualis to finalize the lineup for Bucharest. As the name implies, the LAN will take place in Bucharest, Romania – and the venue is the Polyvalent Hall. Before we get to the most important electronic esports competition of the year, let’s do some quick mentions of tournaments that are already confirmed but haven’t released any official information as of the time of writing this article. After the majors, we listed above, there are still 4 more before The International 8 comes around. One of them is the Epicenter XL organized by Epic and sponsored by Yota – while the other 3 will be hosted by Mars Media, ESL and PGL (1 each), but have nothing but the official date confirmed. And on top of all this, there will be a great number of Minors (which aren’t minor by any metric, as their prize pool is minimum $300.000 USD) spread throughout the months. They also give out Circuit points, which means a lot of big organizations will try to squeeze them in their schedules for the extra chance of qualifying for TI 8. TI 8 is going to be the biggest Dota 2 tournament of 2018, there is no doubt about it. And I’m not just talking about the Dota pro scene – TI is the biggest LAN of all esports. The yearly Valve event has been breaking prize pool records since its first edition – the current record set at last TI is north of 24 million dollars (and that figure is expected to be beaten this year). 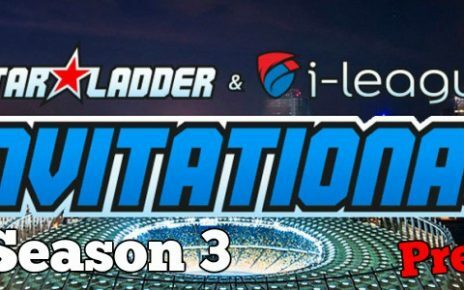 Valve only releases dates when we get closer to the summer, but if previous years are any indication, we can expect TI to be held at the start of August, and last for 2 weeks (1 week for group stages and 1 week for the playoffs). The entire season culminates into this one event. This is the one player’s dream of when they start their careers, this is the one that drives them to practice endless hours every single day. The International is the pinnacle of electronic sports, and it is a glorious week for us fans – the perfect ending for an insanely great season. Thanks for reading and we hope you enjoyed it! 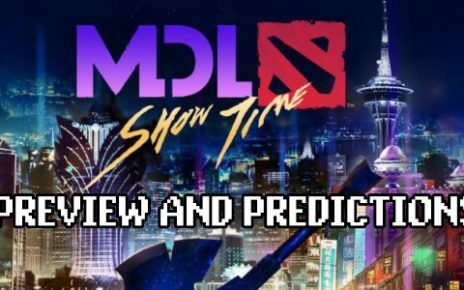 Once we get more official information regarding the other Majors and important LANs we might make another article about Dota 2018’s competitive season – stay tuned, and see you soon! What Items Should I Buy for My Champ in League of Legends?